Japanese Language Proficiency Test (JLPT) is an exam that certifies the ability of Japanese language by non-native Japanese speakers using a scale system that runs from N5, the lowest level, to N1, the highest level. The exam is held in 65 countries including Japan. Exams session are held two times a year, in July and in December (Except some area). Japanese Language Proficiency Test (JLPT) registers approximately 600,000 candidates per year. This exam is most taken by non-native Japanese speakers. The Japanese Language Proficiency Test (JLPT) N1 is an important certificate for international exchange student who want to attend national university in Japan. It is not only proves language ability but became also a priority criteria in the immigration management in Japan. Japanese Language Proficiency Test (JLPT) is the standard exam for immigration management and state examinations. Several other exams are adopting the JLPT as fundamental judging criteria. One example may be the priority reserved in immigration matters. In the “Point-based Preferential Immigration Treatment for Highly Skilled Foreign Professionals” the JLPT N1 constitutes 15 of the 70 necessary points that an applicant has to get. Moreover, for people who have doctor license or other professional certification abroad, the Japanese Language Proficiency Test (JLPT)is necessary to take the doctor license exam or other national exams in Japan. For instance, Vietnamese nurses that come to Japan as care workers, according to the Economic Partnership Agreement between Vietnam and Japan, should have a N3 level or more in order to conduct their activity. Japanese Language Proficiency Test not only tests till which level a person can understand Japanese grammar, vocabulary and written passages, but actually includes also the usage ability of 3 essential elements such as [Language Knowledge (Character, vocabulary, grammar)], [Reading comprehension (Reading ability)], [Listening skills (Listening ability)]. Furthermore, The exam shows 5 levels, from N1 to N5, that correspond to the capacity of the candidates. It can describe in details real candidates language ability. 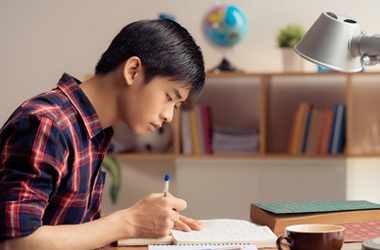 The exam hasn’t unfair results because far from calculating only row scores, it uses the system of the “standard scores” that produces reliable results. Japanese Language Proficiency Test (JLPT) has 5 levels from N1 to N5. N1 is the most difficult level, while the easiest one is the N5. Proficiency correspond to N1 and N2 levels is considered indispensable for the usage in the real life. N4 and N5 correspond to a basic level of language comprehension. N3 is an intermediate level of language proficiency between N4 and N5. Able to read newspapers and critic essays, demanded understand texts `complex structure and theoretical contents. Understand passages and find hidden meaning in passages. Able to listen and understand different kind of conversations spoken at natural speed, has a complete understanding of other people personal opinions and conversations. This level corresponds to a full comprehension of the Japanese language. Able to understand clearly the main points of newspapers and magazines. Able to understand conversations which speed is close to the natural speed and grasp the main meaning of other people opinions. Able to read and understand specific paragraph about themes of everyday life. Able to listen to conversations which speed is close to the natural speed, and able to comprehend their main contents. Able to read and understand text which is written about topics of everyday life using basic vocabulary and kanji. Able to understand the contents of the daily conversations spoken slowly. Able to read and understand phrases, sentences, short paragraphs using Hiragana, Katakana and basic Kanji. Able to listen and understand the necessary information in short and slow conversations about topics of everyday life.